A 3DVD set of interviews with 5Pointz directors "Nic 1", "Meres",100's of aerosol murals meshed with Hip Hop. The composite becomes a window into the ethnography of what 5points reefer’s to as “the culture”. 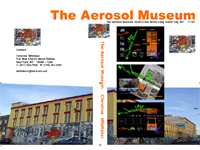 This video project evolved 5points TAM/ The Aerosol Museum interactive floor plan. 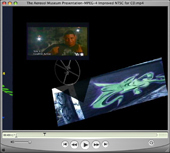 5ptz deemed by N.Y. Times “5ptz NYC’s Museum with only walls”. A “Nic 1” post interview was nominated in VH1’s Hip Hop Honors. 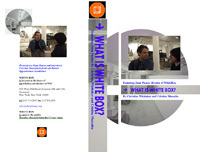 Whitebox.Org is a contemporary gallery located in Chelsea, NYC. What is Whitebox was a beautiful short documentary and discussion between Juan Puentes and Cristina Maassafra detailing the vision behind the gallery. Juan goes into detail about the “bush doctrine years” and the complex set of dynamics that face the arts in America. The “Arts Van Go” was a $60K NEA Special Projects Grant. Hired by Cristina Cultural Arts Center I was the grant administrator and director for 3 summers in designed, built and administrated a fully mobile art and dance studio that served culturally deprived children in Wilmington, Delaware. The documentary details the building of the mobile arts studio, mobile dance floor, projects and synergy we created. A beautiful poetic documentary of ceramic sculptor Brad Sunnarborg's contemporary sarcophagi installation "Between, the maker and the made..." . 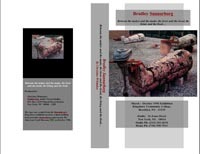 The documentary was developed and distributed by Mr. Sunnarborg during his hand building demonstrations at theAmerican Folk Art Museum on 57th st. NYC. 3 video shorts in relation to the “The Bush Doctrine Years” (2000 to 2008) in which “American history” as well as “Democracy” was defiled. When American Petroleum corporations combined with the oval office (via the New American Century ) lied to the American people, used the American military and exchanged “lives” for “cheap energy” and in return they gleaned mass profits. While I was working on “sky” (audio project about NASA + ESA) I started to think about visualizing the universe abstractly using Photoshop created close to 100 Alpha channel images. 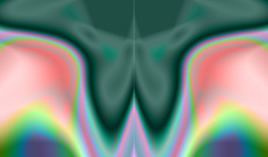 This is one of those images animated in flash. I had an associate that was involved in weaving. Of which I noticed the association between weaving and meditation then made Bacwards&Forwards/Woven an experimental video interpretation of that. At the heart of the history of art and technology is Leonardo DiVinci the first artist to cross the boundaries of both. Leonardo produced a litany of works that were both creative and engineering marvels that still generate media to date while he himself remains very mysterious as a creator.